Eaton 2-Pole CH Spa panel in silver color, has metallic casing and tough powder coated galvanized steel enclosure for longer endurance. It has voltage rating of 120/240-Volt AC and current rating of 60-Amps. This 1-Phase panel accepts a wire of size 14 - 1/0-AWG. It measures 4.5-Inch x 3.13-Inch x 9.5-Inch. 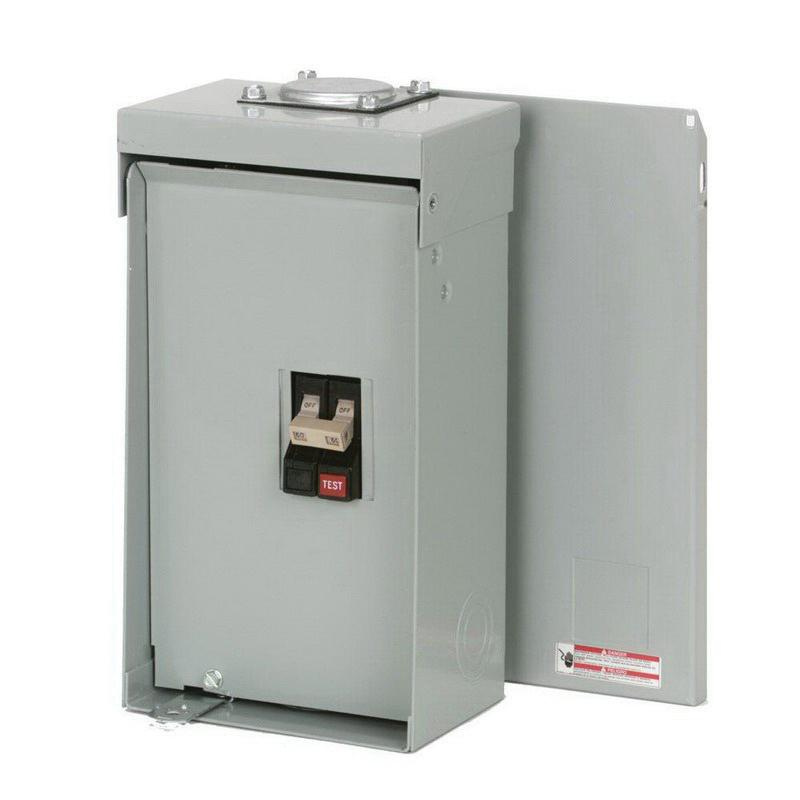 NEMA 3R rated 60-Circuit panel supports surface mounting for easy installation. Panel is UL listed.